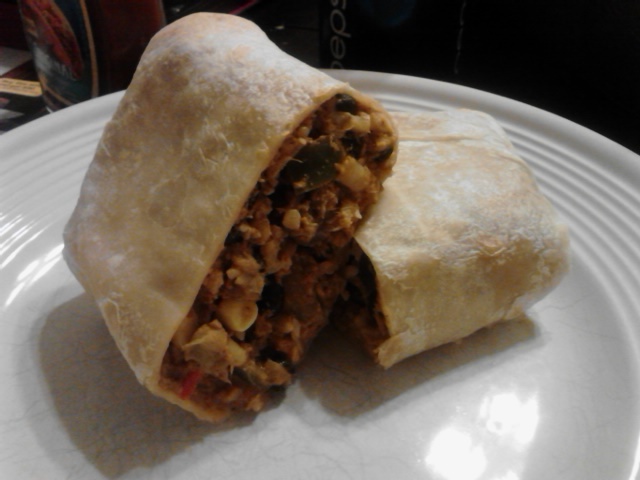 Red's All Natural Steak Burrito | The Food Hussy! Every now and then - more often lately - I get food swag from various companies. A few months back I got some free coupons from Red's All Natural Burritos. I gave a couple away on Twitter but kept one for myself. Red's are available at Kroger and retail for $3.99 (pretty steep for a single burrito). They were not available at my Kroger in Mt Healthy but I did find them in Hamilton/Fairfield. They have four flavors: Steak, Bean & Cheese, Chicken and Turkey Mole. They are all natural (duh) and have beans, brown rice & veggies. 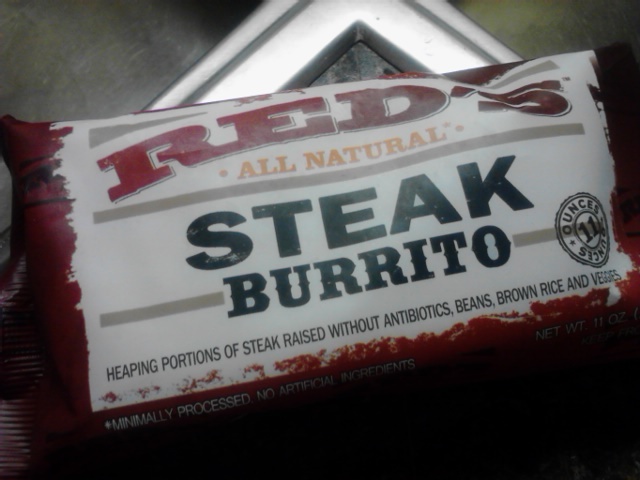 I had tried Evol burritos a while back - and didn't love...so would Red's be any different/better/worse? I did learn my lesson and used the oven for this one. It's full of veggies - lots of black beans and corn. The steak though - really shredded and didn't really taste like meat. I'm also not a big fan of brown rice. The tortilla portion was better when you cook it in the oven but again - overall I just didn't love it. The texture of all of it together just is mushy and there's a just a bitterness - maybe with the brown rice - that I just don't care for. They're also lacking cheese - I think that would have done wonders. So - sorry Red's - I didn't dig them. But if you're into all natural - you might want to give them a try. I'll stick with my good old El Monterey...my husband got me addicted. That bag of El Monterey looks fantastic. I like to take a whole bag and make them into a burrito casserole. Give it a try and thank me later, Seniora Hussy.